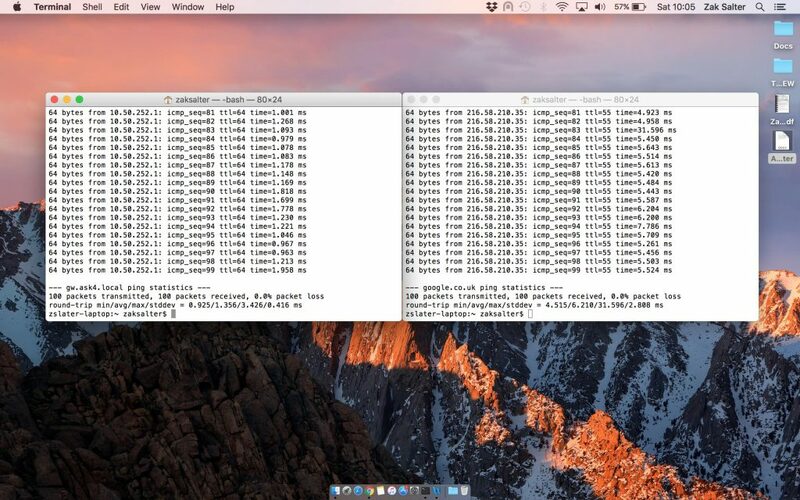 In order to test connectivity and latency, we can instruct your computer to send and receive small amounts of data to one of Google’s servers, and to the equipment at your accommodation (these are called pings). For this we can use an application called Terminal, which is installed on your computer by default. 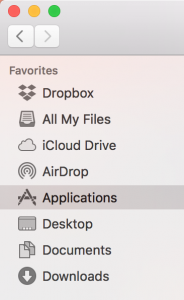 Open your Applications folder, then open the Utilities folder. Within the Applications folder, select and open Terminal. You will need to open two of these windows (Press cmd and n).